It’s the stuff of nightmares, big hairy spiders with huge fangs. But we don’t need to worry about that because the deadly funnel-web is down in Sydney and those other ones are from South America, right? Wrong! 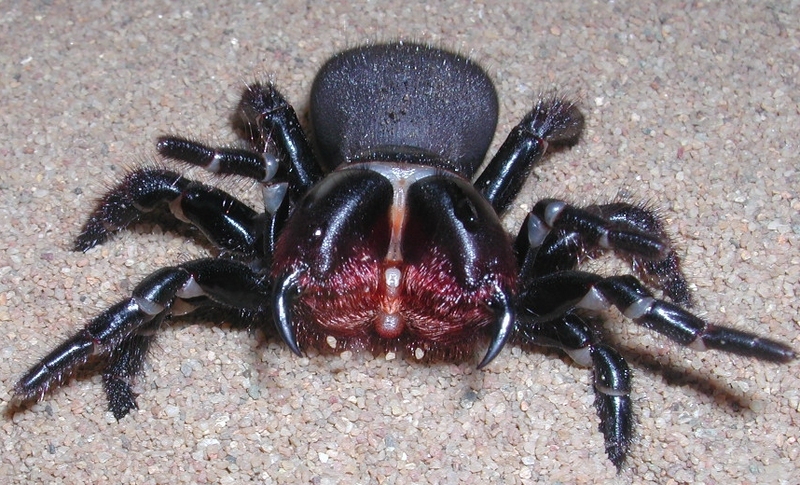 The spider in the picture is a Mouse Spider (Missulena bradleyi) and they are found all over mainland Australia. They are the little cousin of the famous funnel-web (which, by the way, is not found just in Sydney, but I’ll save that for another blog). 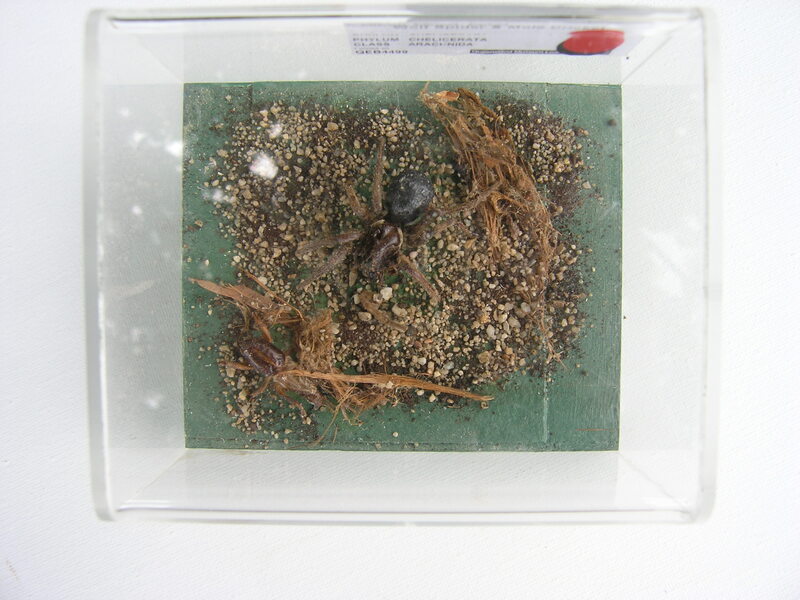 The Mouse Spider is an old world or primitive spider along with the funnel-web, tarantula, trapdoor and whistling spider. Basically all the big ground dwelling scary ones. I say ground dwelling as the Huntsman spider may be big and hairy, but it does not belong to this group of spiders as it naturally lives under the bark of trees, so its natural habitat is different to primitive spiders, along with a different lung and fang structures. Speaking of fangs, having large fangs is another primitive spider trait. They are usually parallel and vertical in primitive spiders, except for the Mouse spider which has adapted its fangs to use as pincers. They are still very large compared to its body size, but it can also grab, hold and crush prey using its fangs. It is this powerful clamping action which has also led to the limited use of venom by the mouse spider. Usually its crushing and piercing bite is enough to kill its prey; its venom glands are tiny when compared to the funnel-web. Now don’t go thinking it’s harmless. Apart from a very nasty bite, which easily and painfully pierces human skin, if the mouse spider does decide to use the little venom it has, it is just as toxic as the Sydney funnel-web. Lucky for one young Gatton boy, we learnt that the antivenom for the funnel-web works just as well on mouse spider bites. mouse spider may only be 5 cm long. The one found by Dr Robert Raven from Queensland Museum was only 2 cm long and was estimated to be 7 years-old. This specimen was brought back to Queensland Museum for further study as we know very little about the Mouse Spider compared to the famous funnel-web or even the daddy-long-legs. 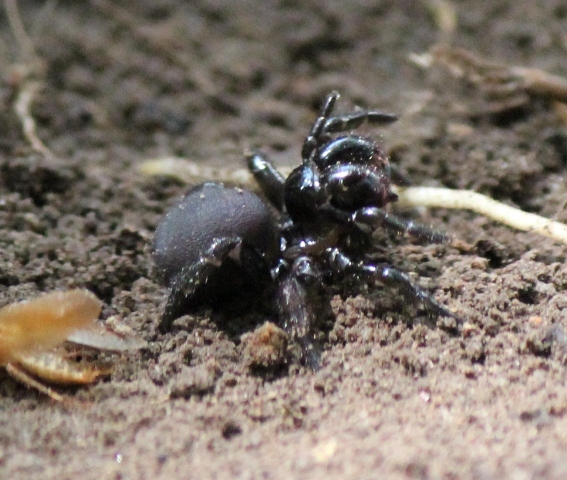 the mouse spider is rarely seen, preferring the dark of night and the obscurity of the leaf litter. They also rarely bite humans and when this has occurred, rarely use venom, so their profile as a dangerous spider is not very high. 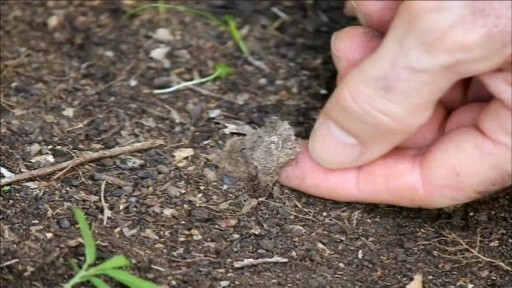 So what should you do if your come across a mouse spider in your garden? Well like most things with eight legs or no legs, leave it alone. If you or your students want to get up close to our eight legged friends, consider borrowing one of the specimens from Queensland Museum loans that way you’ll know they are safe, but at the same time, they can inquire and explore.